The Guyana Revenue Authority (GRA) and the Licence Revenue Office will be offering their assistance today to the police in the major carjacking operation that was believed cracked on Friday night. 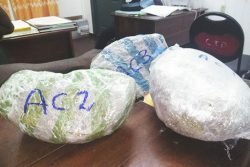 Crime Chief Paul Williams last night told Stabroek News that seven persons including an ex-policeman, and an East Coast Demerara couple remain in police custody. He noted that after the GRA and Licence office complete their part of the investigations the police would be able to move forward with their investigation. In a press statement on Saturday, the Guyana Police Force said that acting on information received, ranks of ‘A’ Division swooped down on a property at Monument Hill, Kuru Kururu, Soesdyke-Linden High-way and conducted a search that uncovered several vehicles and a quantity of parts, all suspected to have been unlawfully obtained. At this location, the ex-policeman and four of the female suspects were arrested. Meanwhile, ranks from the Major Crimes Unit arrested a couple at their Vryheid’s Lust North home after a quantity of Allion, Premio and Spacio parts, with engraved numbers, was found on their premises on Saturday. 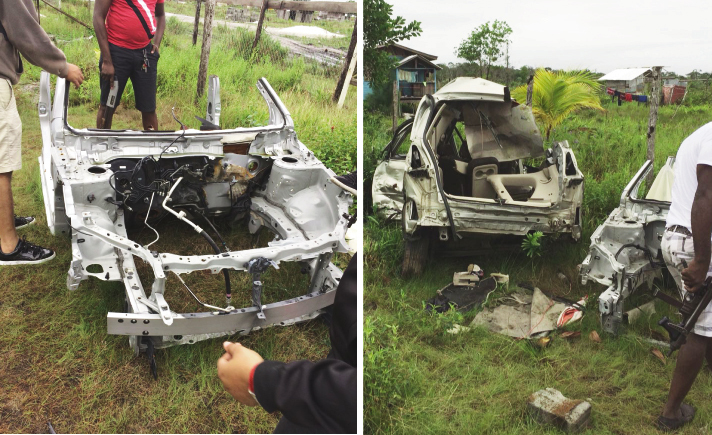 Williams had told the Sunday Stabroek that measures will be put in place this week to have the victims of carjackings and the theft of parts view what was recovered. 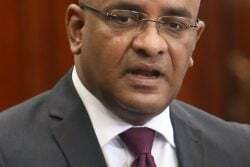 The Crime Chief had also recently said that attention would be paid to auto-body workshops, since some were suspected to be the buyers of the stolen vehicles parts. “We are going to deal with these matters very seriously and robustly because these cars are going somewhere and we have to find out who are encouraging it because if there weren’t markets they would not have been sold,” he had said.